For decades DYNISCO is a global leader in providing innovative solutions for monitoring the extrusion control in the plastics industry. DYNISCO offers state of the art technologies, produced in compliance with ISO 9000, in order to provide its customers with the maximum efficiency and productivity. EPISTOLIO, official partner of DYNISCO , is able to offer some of the most innovative measurement solutions for extrusion , molding of plastics and process control applications . 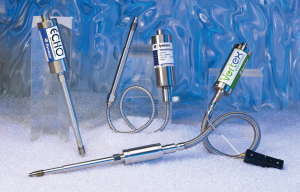 DYNISCO sensors, thanks to the wide range of transducers and transmitters, and thanks to the most advanced technology of sensitivity analysis , provide a high-precision measurements at high temperature, by means of transducers that withstand the most extreme and corrosive production environments. DYNISCO indicators , controllers and signal conditioners for monitoring the temperature or the pressure offer exceptional reliability, quick configuration and easy-to- use interfaces to fit almost any need. The process controllers are ideal for the management of critical process parameters thanks to exceptionally bright displais with large characters for great visibility. Process indicators are able to display a series of design units with the ability to display the temperature and pressure simultaneously. 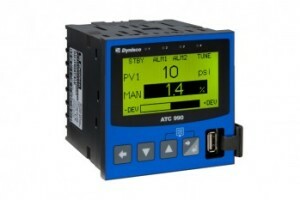 DYNISCO instruments adhere to DIN international standards and can be supplied with power supply from the transmitter, one or more alerts, automatic retransmission, control capabilities, digital communication, process and instrumentation diagnostics and other advanced features. The line of DYNISCO sensors is one of the most comprehensive in the industry, not only regarding the amplitude of the range but also for the simple method to match the characteristics, the performance and the price of the sensor , to the needs of the application and of the customer. 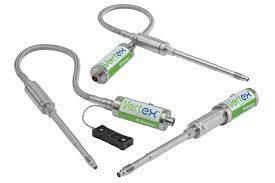 From revolutionaries Vertex ™ sensors, with 4-year warranty for the first time in the market, to the offer of its principal product BenchMark ™, up to the reliable yet economical series Echo ™, DYNISCO is committed to providing the best possible solution for the operations of the customer. Series PT480, from 500 to 15,000 psi, with optional thermocouple and RTD output 3.33 mV / V, 4-20mA, 0-5Vdc, 0-10Vdc.